Starhub KKBOX: My fav music streaming app! Are you a music junkie who’s constantly on the go? 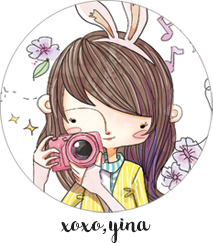 You know me, I love music and singing! And I’ve just recently discovered my newest favourite music app, and that’s StarHub KKBOX! StarHub’s digital music store, Music Anywhere, has collaborated with the leading provider of digital music subscription services in Asia, KKBOX in order to bring you unlimited music streaming of the latest songs! I can now have easy access to over 10 million songs from 500 international and local music labels, anytime and anywhere! I downloaded KKBOX’s app via StarHub’s Music Anywhere onto both my mobile and also my computer! I never liked all the effort and time spent downloading songs on my computer and then syncing it to my phone, so I’m glad that KKBOX allows my songs to be accessed from anywhere, saves me a whole lot of hassle! If you’re one of my close friends, you’d know how silly I am, I like to burst into songs anywhere, anytime! HAHAHA. And then after that get multitudes of strange stares from the surrounding passer-bys :X I think I can be quite embarrassing to hang around with sometimes. Hehe. 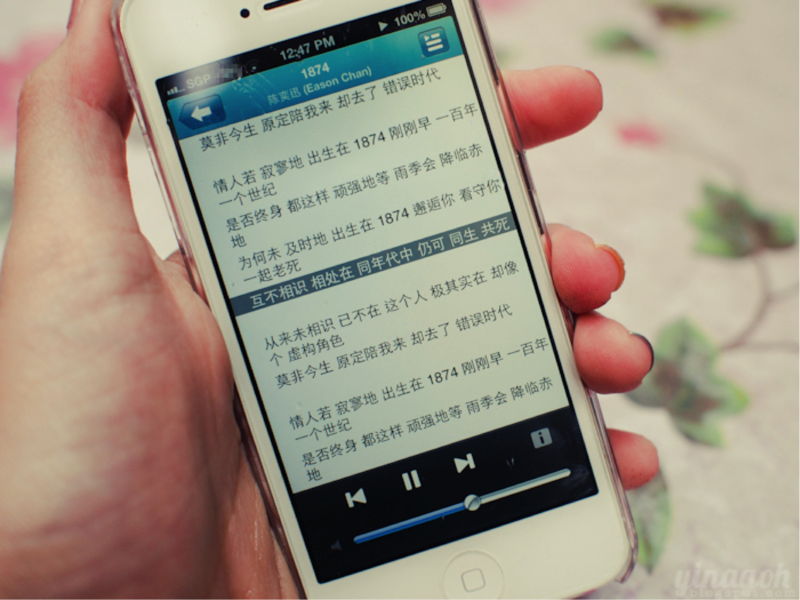 So one of my favourite functions on KKBOX is the “Rolling Lyrics“!! Basically, Rolling Lyrics displays the lyrics of the song that is currently playing, and scrolls through them at the right tempo and rhythm! I’m always doing things like last minute learning my songs for performances, and having Rolling Lyrics to aid me is really useful! A couple of weekends ago, when I performed for Gardens By The Bay’s 1st anniversary event! Sorry, I can’t help it. I always look very unglam when I’m singing! Hahaha. 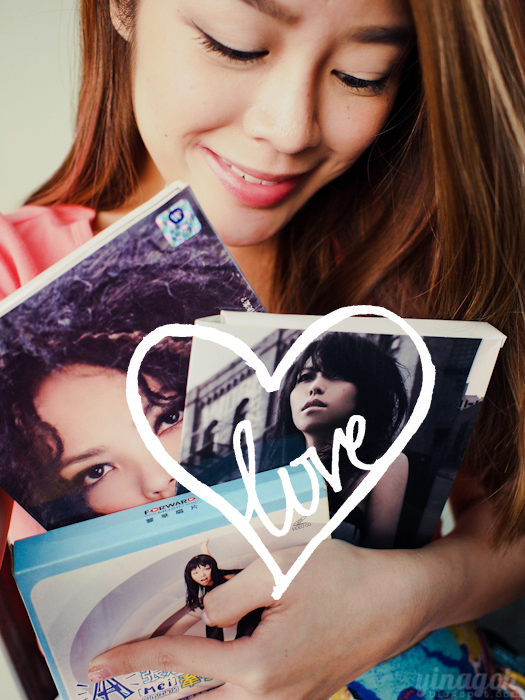 Love StarHub – KKBOX! 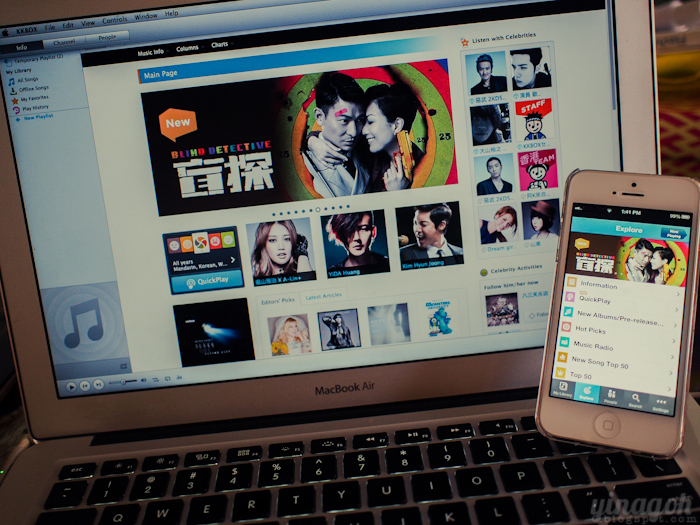 It’s very easy to navigate and access on the computer as well, and I really enjoy exploring the different songs available on StarHub – KKBOX, with all the various functions like DJ playlists, Top Charts, New Releases, Editor’s Picks and more! 🙂 It’s really cool! With StarHub’s Music Anywhere, I can get the ultimate music experience, with a 360 and intimate experience that gives me unlimited streaming of the largest Asian song library, access across multiple platforms, anytime, anwhere, and allowing me to get up close and personal with my favourite stars, with exclusive content and showcases!! In fact, you might even get a chance to meet your idols in person, receive a call from them, or even receive surprise treats like autographed collectibles with Music Anywhere! I’m a fan of local duo 插班生, and was so amused to watch this video to see how Music Anywhere brought two of 插班生‘s fans closer to them, it is so heartwarming, and I would love the chance to be up close and personal with my favourite idols too!!! If you’re wondering who my favourite idol is, it is without a doubt, A-Mei 張惠妹! I LOVE HER! Found A-Mei on KKBOX and immediately clicked on “Follow”.. Now I’ll be informed of her new songs, releases and other promos! Whoop! This was when I attended A-Mei’s concert earlier this year. It was soooo Amei-zing! I love her voice and I love her songs so much! Give me a chance to meet A-Mei, please!! My secret dream is to be A-Mei’s backup singer! I wonder when I’ll ever ever get that chance….. So here’s the good news: StarHub’s Music Anywhere is offering a FREE two months unlimited music streaming with KKBOX and Music Anywhere, if you sign up now! Find out more, and sign up for Music Anywhere on StarHub’s website today! Previous Post Birthday Boy turns 30!